A Review of Jake Stratton-Kent’s The Testament of Cyprian the Mage. With the third and final part in Jake Stratton-Kent’s Encyclopaedia Goetica titled The Testament of Cyprian the Mage Jake have come full circle in redefining the Goetic fundamentals that lies at the root of the Western Tradition at large. Jake have in this concluding double volume literally soaked the bones of the Western Tradition with the life-giving blood of memory and wisdom, all too often forgotten. He has forged this memory in the icon of Cyprian, the saint and mage, the healer and sorcerer in the likeness of King Solomon. In this way Cyprian serves both as symbol and archetype of the fusion of the Greek Shamans and the clandestine sorcery priests that found their heaven in Church and monastery. In the icon of Cyprian Jake is binding the ink and legacy of monasteries in with the image of the goetic mage in spirit frenzy to allow the blood of a living tradition to flow forth from bones and books forgotten and neglected, but always present in our forgetfulness. I would add to this that Jake has been the element of spirit that has quickened this legacy and reminded us about the fact that the Western Tradition is in fact living. In this way Jake has been given life to dead bones that were not dead after all. There are many, many aspects of Jake’s work that deserves commentaries in light of how vital and crucial this book is for the Western Tradition to understand itself. I would say that with this volume Jake have stretched up the very ancestry of the spiritual and literary succession any goes, ‘western shaman’, and ceremonial magician is a part of. Hierarchies are discussed here in light of the importance of thwarting angels as stabilizing factor amidst angels (or should we say aerial spirits in general?) celestial and chthonic, which in it selves gives several blows to the ghost of Christian education concerning hierarchies that have infected us Westerners with a spiritual democracy Jake demonstrates grave errors in. One of many examples of this error is found in the discourse on solar theology presented throughout in the book, especially in the first volume. The Sun is axis and cosmic pinnacle. It is Apollo, necromancer and light giver. Later we find this form in the shape of St. Michael and St. Michael is burdened with a host of Christian imagery and values. I say burdened, because the Christian mythology is so deep seated within this form of Apollo that many are not capable of seeing beneath the Christian veils to what he points towards. Confronted with an imagery like this, we should ask, “but what does it means?” because certainly this figure of the Sun that holds devils within his cape and is subduing a chaotic devil or dragon is not necessary an image of solar triumph, but of the controlling powers the Sun holds in virtue of being what it is. And what is the Sun? It is the heavenly luminary that gives light to the realm of the living as much as the realm of the dead. These forms of exegesis are moving beneath the entire Testament of Cyprian the Mage as a way to make us remember our legacy and become alive again as practitioners. This work is clearly a pioneering work where Jake have desired to organize our heritage so it can be used for the mage, sorcerer and goes as much as for the most devote Solomonic ceremonialist, or Martinist for that matter, as a compass for retracing our steps. Just in this act and will itself Jake deserves applause and a thousand toasts in fine wine and good whiskey. Decans, mansions and fixed stars are given ample space here and especially with the impressive presentation of the decans Jake is providing a pioneering work of presenting a legacy so important in a way that it is opening up for use and surely will transform the practitioner as this spiritual wealth is explored. These stellar mysteries are then continued in his discourse of astrological chiromancy, that was perhaps the highlight of the book for me, where he bring heaven on earth in erasing the veil of separation. 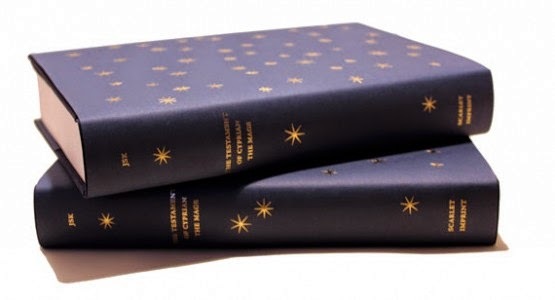 Seeing how Jake is continuing the work started in True Grimoire through Geosophia and then ending up with tying the four kings, the spirits of air and decans into a starry body found in your very own palm is simply sublime. I also want to compliment Jake on organizing this rich and valuable material in such way that it is not only workable, but also possible to analyze from the variety of sources he is using to demonstrate concurrence and difference. It is clear that Jake with this work have been occupied in offering up the blood of old bones for a living community of practitioners. In this book we will rediscover the spiritual harmonies between spirits of hours, days and nights as an invitation to interact with the worlds invisible and visible. It is a work most praiseworthy. Jake concludes his work with writing: “Goetia is a tradition of vast antiquity, yet adaptable to entirely new surroundings; capable of effective cross cultural exchange with living traditions from other cultures, while retaining its identity” (ibid. 214). This summary is tied in with the neo Platonic stance held in the discourse of the book. Something that is most refreshing to see and read as this approach opens up and unifies the magical landscape into a comprehensive whole instead of separating elements to make a puzzle game of curious fragments. It is in this field Goetia mirrors Quimbanda in a dual reflection of St. Cyprian the Mage, the Priest and Shaman as an icon of how living traditions can bleed over in one another and not only maintain their integrity and identity, but become more well defined and sharp as a consequence of these meetings. Massive tomes like this tend to use time to generate an impression, but over time Jake’s work will certainly bring a renewed depth and understanding to why we do our magic in the way we do –and in this we will become more effective - and also more open and less restricted and dogmatic as practitioners. In The Testament of Cyprian theMage the keys to make our dealings with spirit to reach a whole new level of personal alliance and interaction is given and as the keys are thrown down legacy and tradition is invoked. It is nothing more to say than: "get your copy" and yet again congratulate Jake Stratton-Kent and Scarlet Imprint for giving to the world this gift of ink and wisdom dressed in the deep blue of the starry heavens.